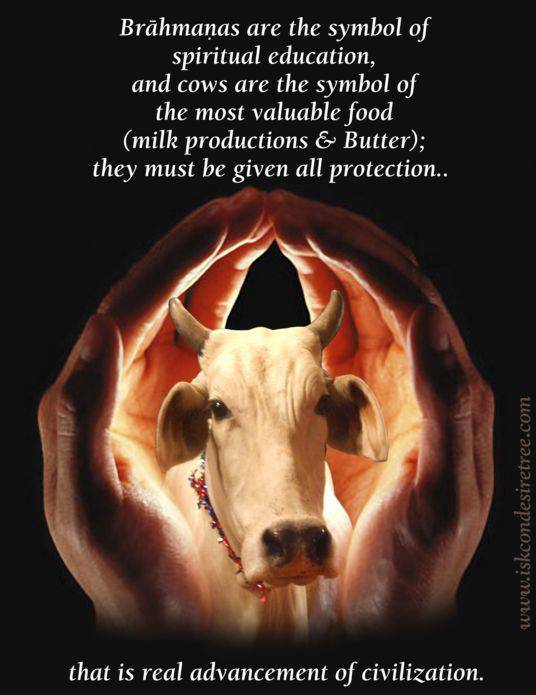 Brahmanas are the symbol of spiritual education, and cows are the symbol of the most valuable food (milk production & Butter); they must be given all protection.. that is real advancement of civilization. 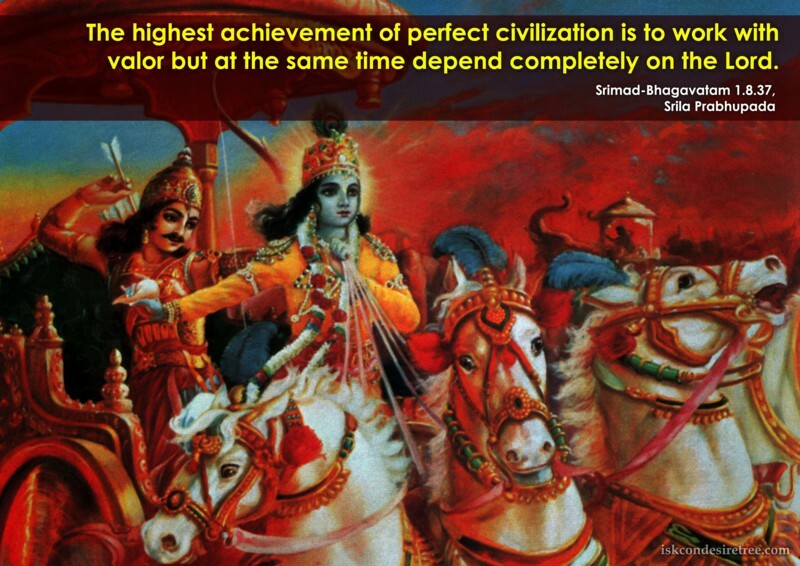 The highest achievement of perfect civilization is to work with valor but at the same time depend completely on the Lord. The whole way modern civilization is set up, it simply puts people in anxiety. Modern civilization is a patchwork of activities meant to cover the perpetual miseries of material existence.